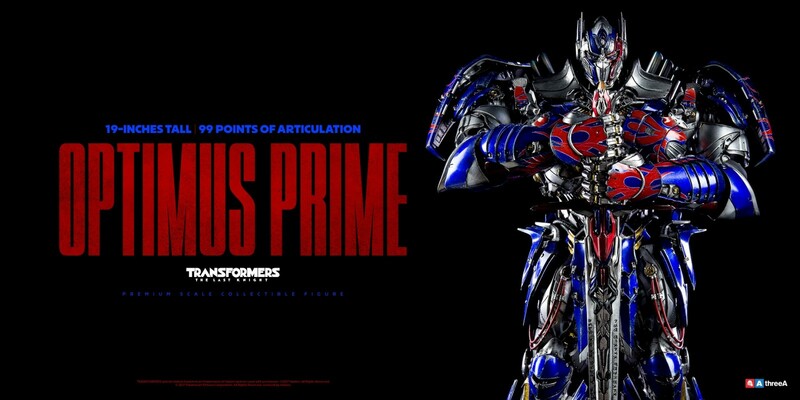 Remember that really big, really expensive, really battered version of movie Prime that 3A was set to create? Well, it appears they are nearly ready to send the figure out to all us collectors! 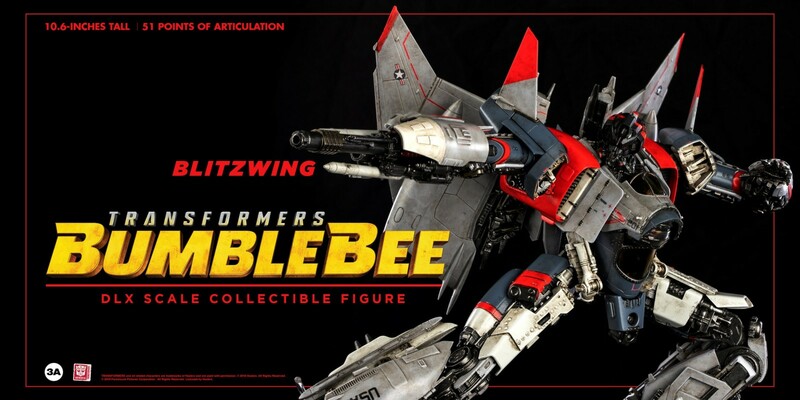 Three A has now shown off the figure and there are plenty of pre-orders that have now gone live. 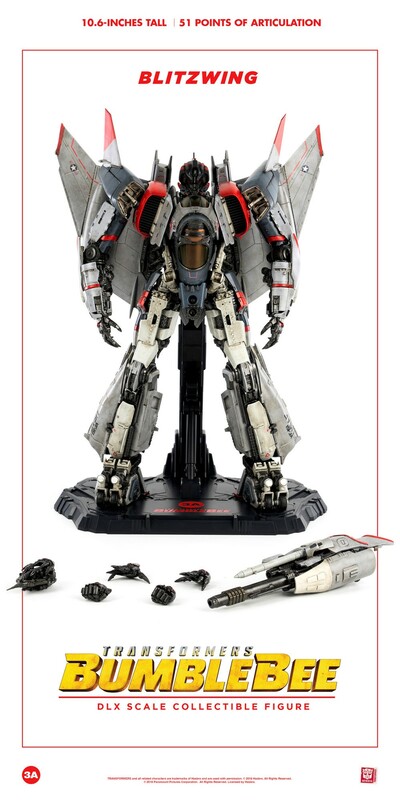 For a reminder, this figure is one of those massive collectible moving/posable statues. 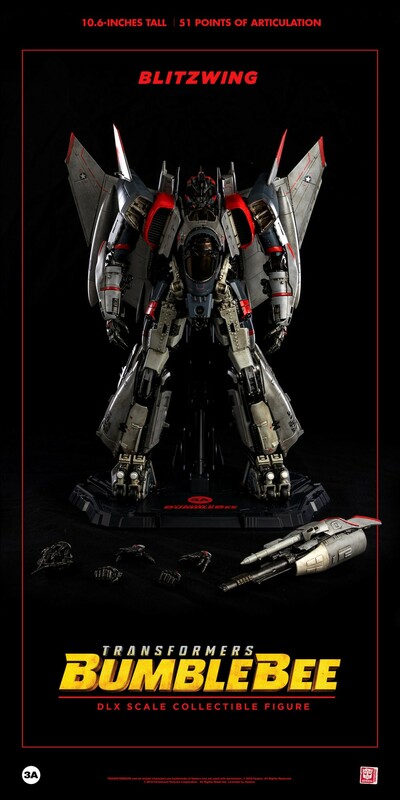 The pre-orders currently have him for around $430. Check out a pair of images below from Three A and the pre-orders from our sponsors that have gone live. 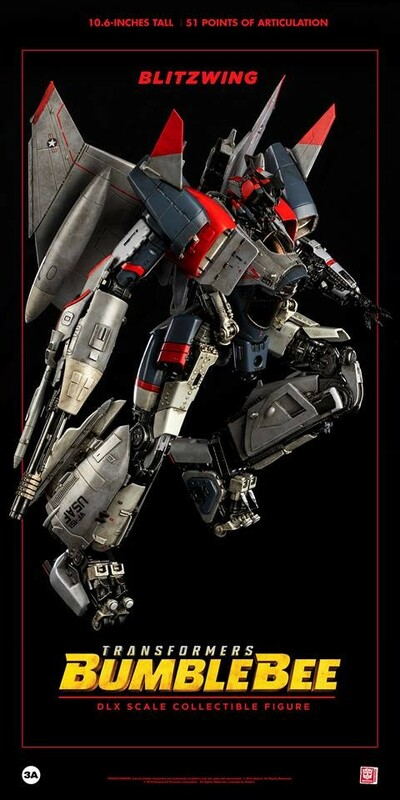 Thanks to their website, we have word that ThreeA is doing 3 new statues for the upcoming Transformers: The Last Knight film! 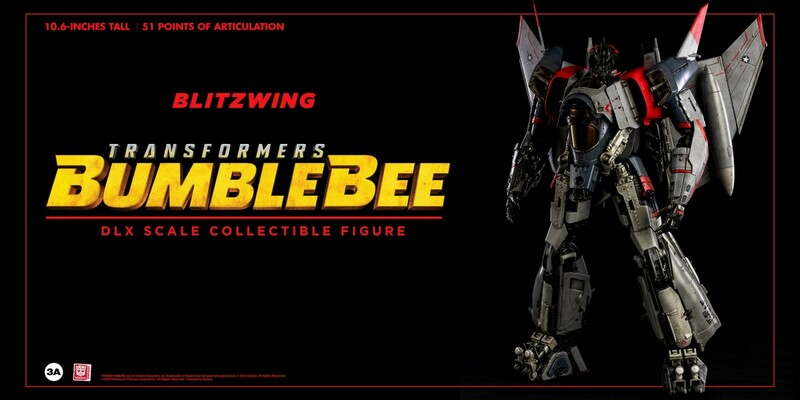 The new figures include Optimus Prime, complete with his red spot on his head, Bumblebee, and Sqweeks. 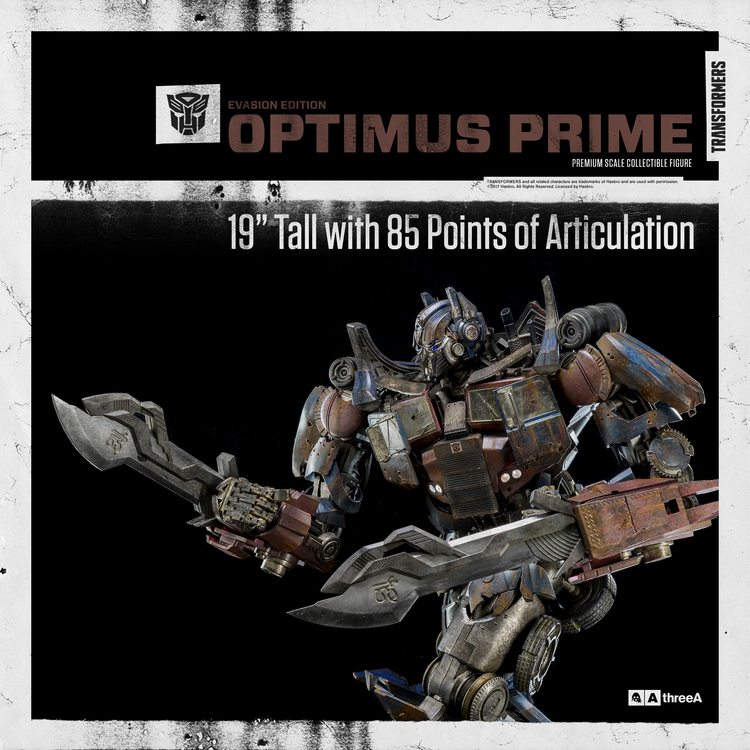 Each figure features lots of articulation, no alt mode, and gorgeous detail. 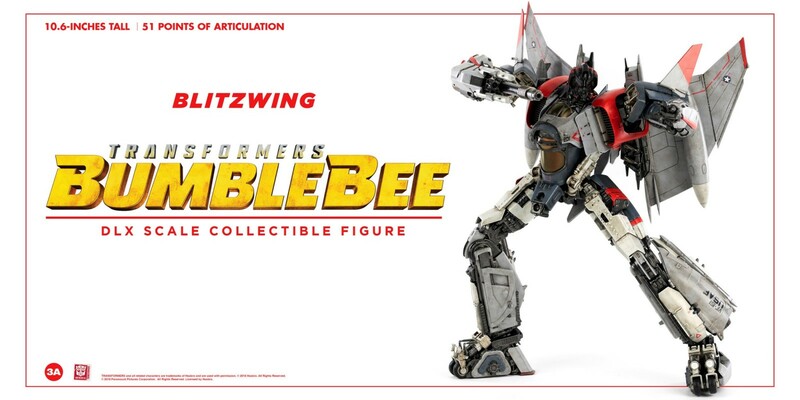 Sqweeks costs $198, Bee is $390, and Prime is $450. Check out the images below, and let us know what you think in the comments section below! 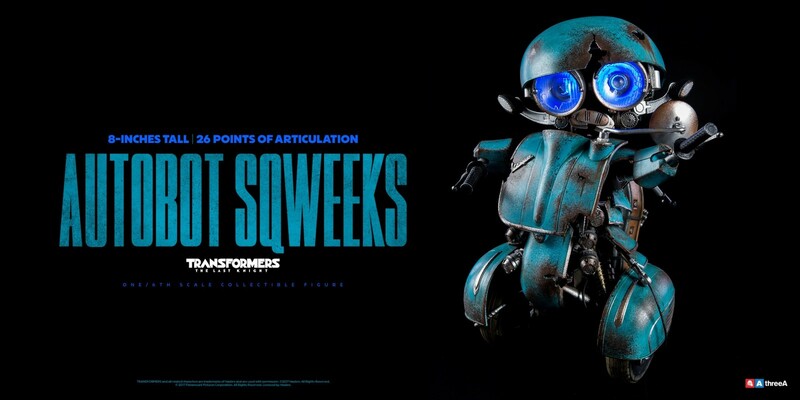 YEAH OPTIMUS PRIME, SQWEEKS AND BEE! My rhymin' skills ain't for free. I best shut up now and let it be. 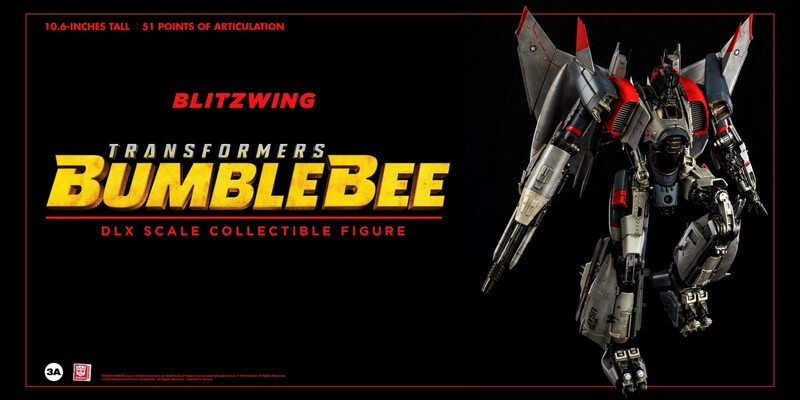 3A is working their magic once again on the Transformers movie franchies, this time giving us our first look at Blitzwing from the Bumblebee Movie. Thanks to Seibertron's Nathaniel Prime we're treated to a preview of Blitzing on 3A's Facebook page. 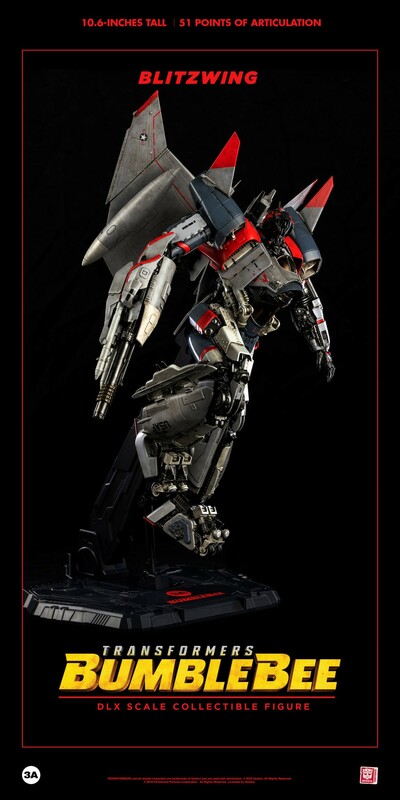 As expected the figure looks like it was lifted right out of the movie. 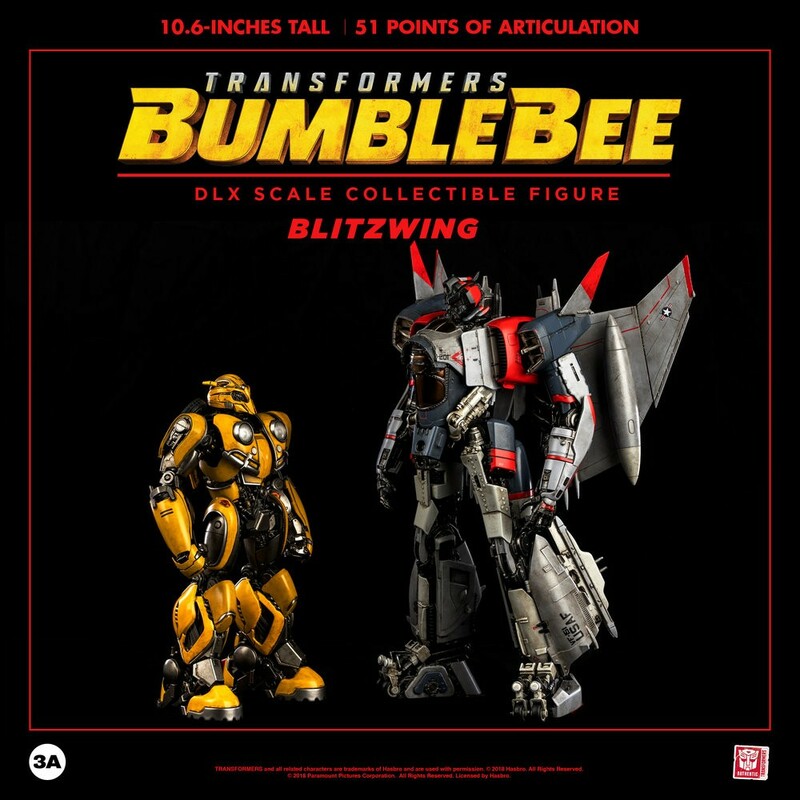 The non-transforming figure features 51 points of articulation and stands at 10.6 inches tall placing it in scale with the previous Bumblebee figure. Pre-orders start January 11 with no price given yet. We're hoping they'll have a full gallery for us as soon as tomorrow. What do you think? Sound off in the Energon Pub. 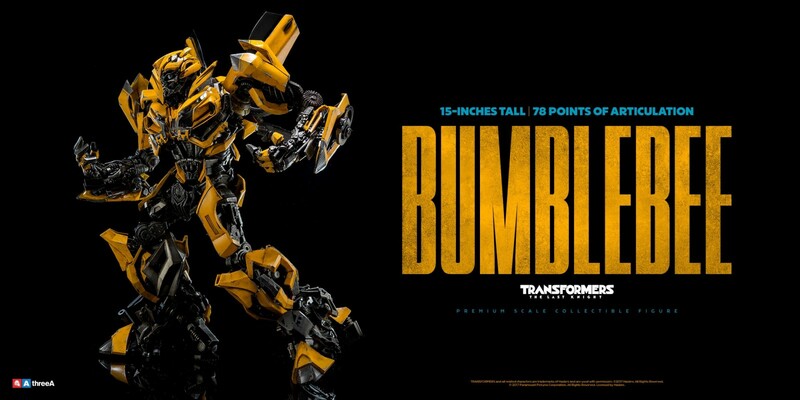 Wondering how they can make this design transform in Studio Series... That chest looks like it has to flip inwards to fill in the chest, and the nose cone rotating inward. 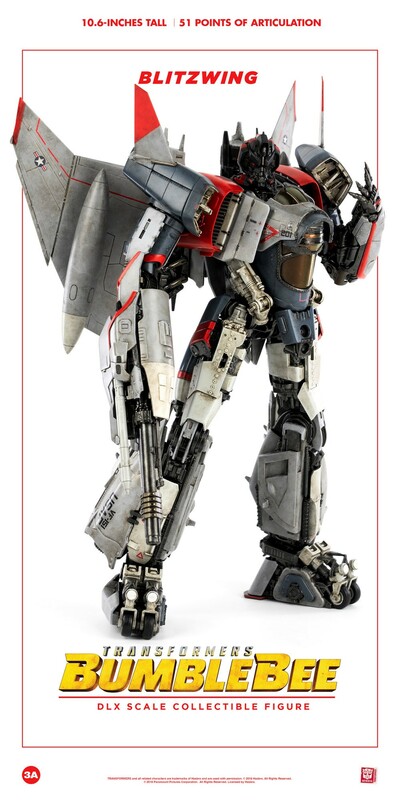 And those wings... they look like they need to twist the whole assembly like with POTP Starscream. Hopefully HasTak can make it happen, with no faux parts of course. 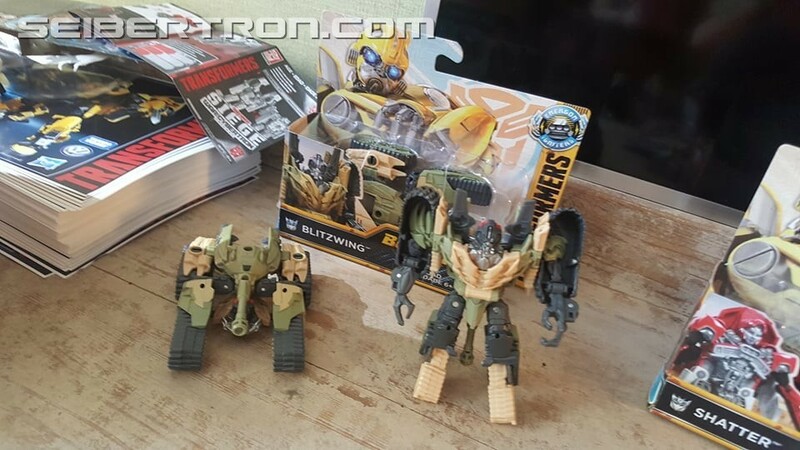 Nathaniel Prime wrote: Wondering how they can make this design transform in Studio Series... That chest looks like it has to flip inwards to fill in the chest, and the nose cone rotating inward. 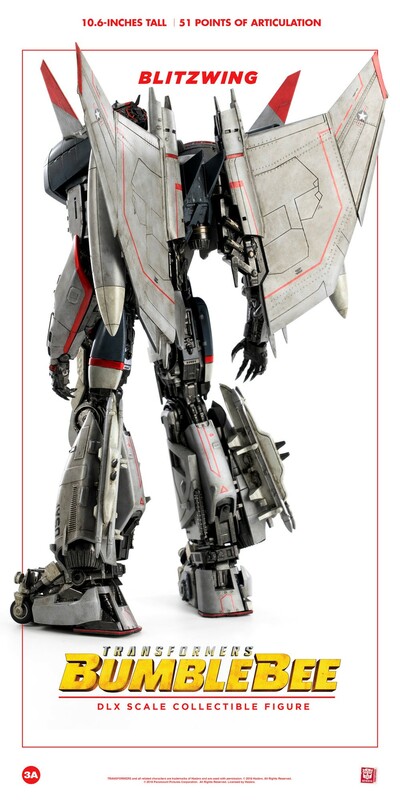 And those wings... they look like they need to twist the whole assembly like with POTP Starscream. Hopefully HasTak can make it happen, with no faux parts of course. Beautiful!Those Three A guys always surpass themselves with every release! The selective criticism in the transformers fandom continues to astound me. The last 4 movies get nitpicked to their very core. 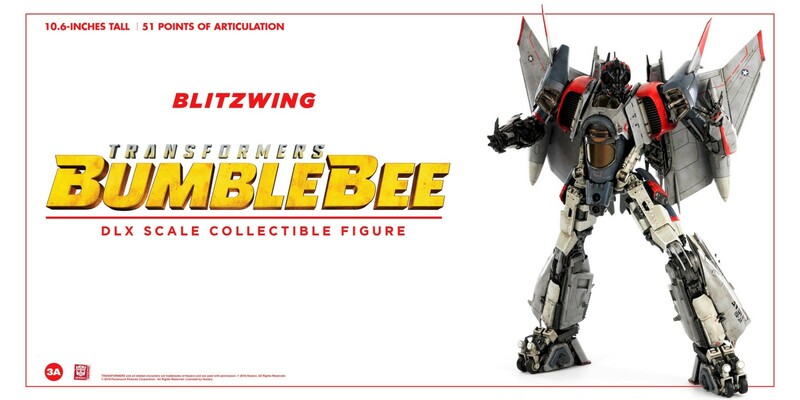 But this movie, containing two triple changers, fails to make blitzwing a triple changer and no ones says boo. 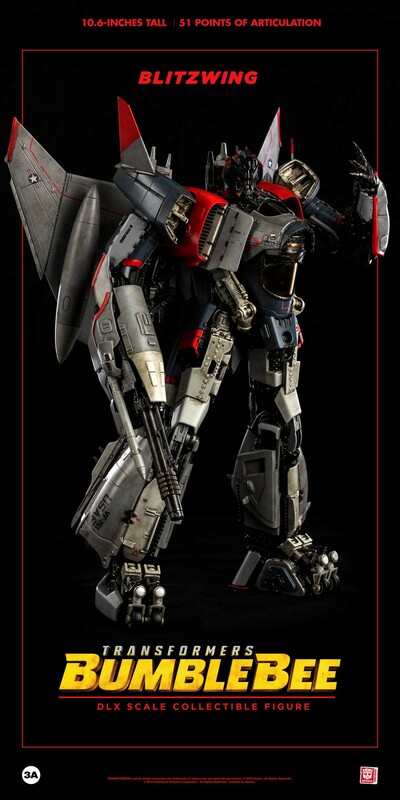 I am starting to think half the people here don’t even watch transformers, just come here to complain. 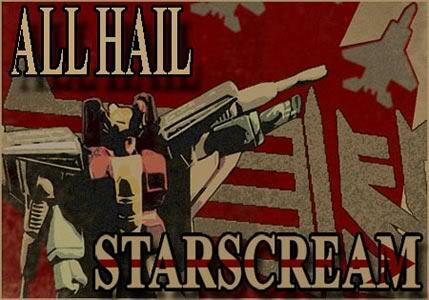 hausjam wrote: The selective criticism in the transformers fandom continues to astound me. The last 4 movies get nitpicked to their very core. 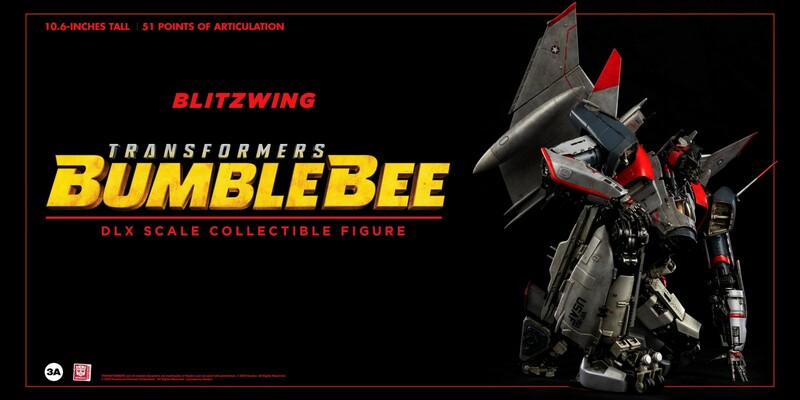 But this movie, containing two triple changers, fails to make blitzwing a triple changer and no ones says boo. I am starting to think half the people here don’t even watch transformers, just come here to complain. 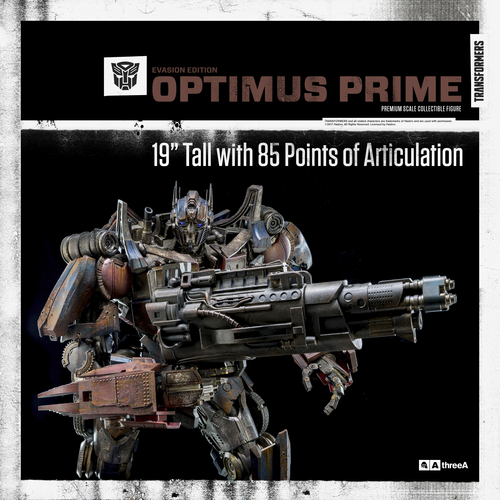 Of the three new Decepticons in this movie, why is the one with the least screen time and least interesting death getting one of these? 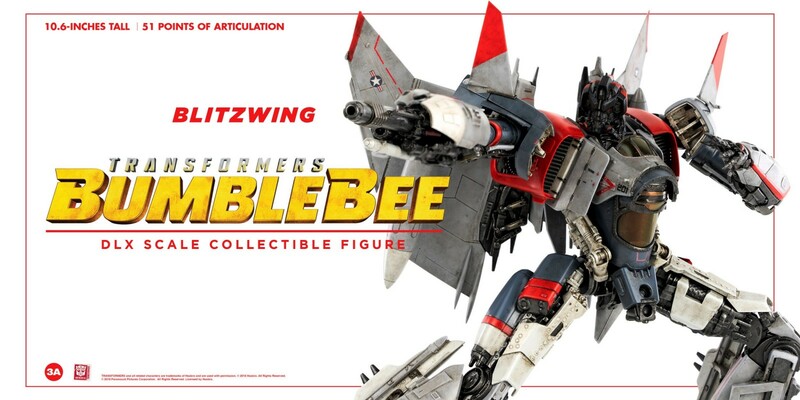 HASBRO WHERE IS MY STUDIO SERIES BLITZWING!!!???? 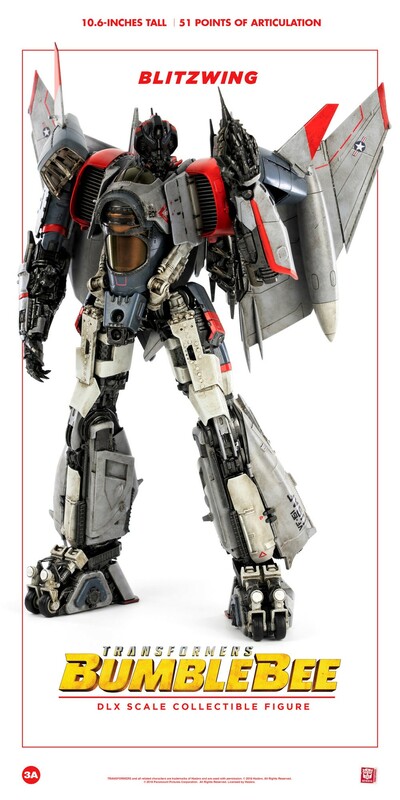 To be fair, Hasbro considers him a triplechanger and he hardly spent much time in jet mode in the movie. 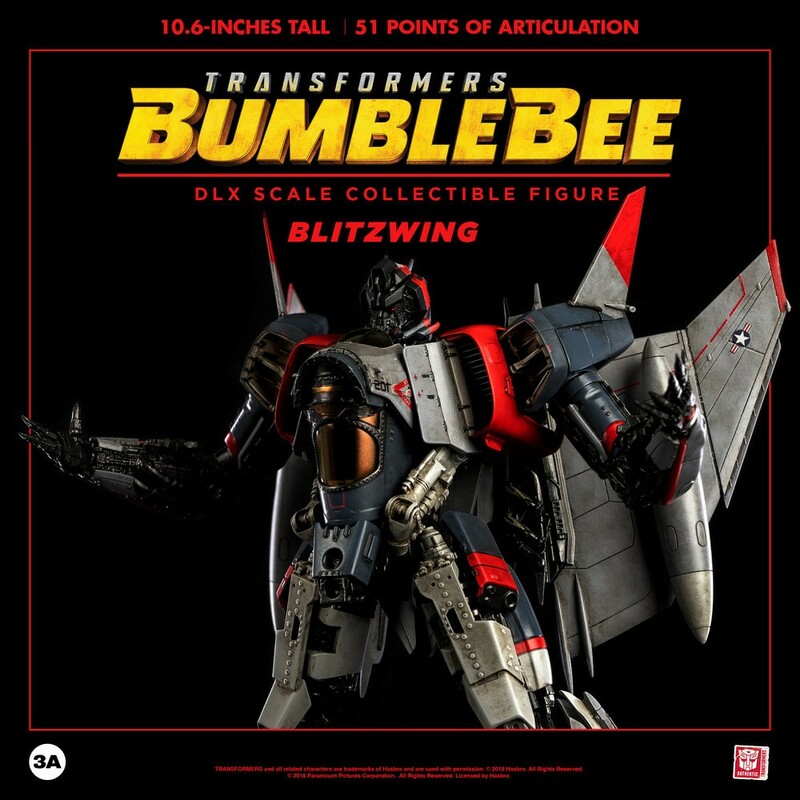 That Blitzwing is a thing of beauty. And seeing the movie model in plastic form really makes me appreciate how much effort went into him. 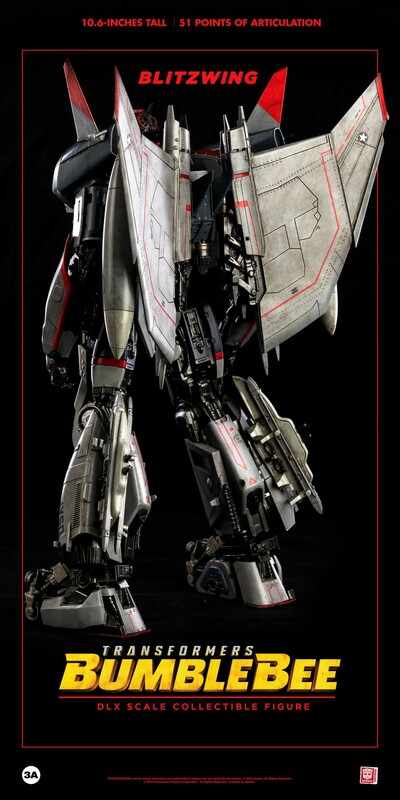 He's almost entirely made of recognizable bits of F-4 Phantom, which after the AOE and TLK designs and their impossible transformations is nice to see. The landing gear toes are a really nice touch. 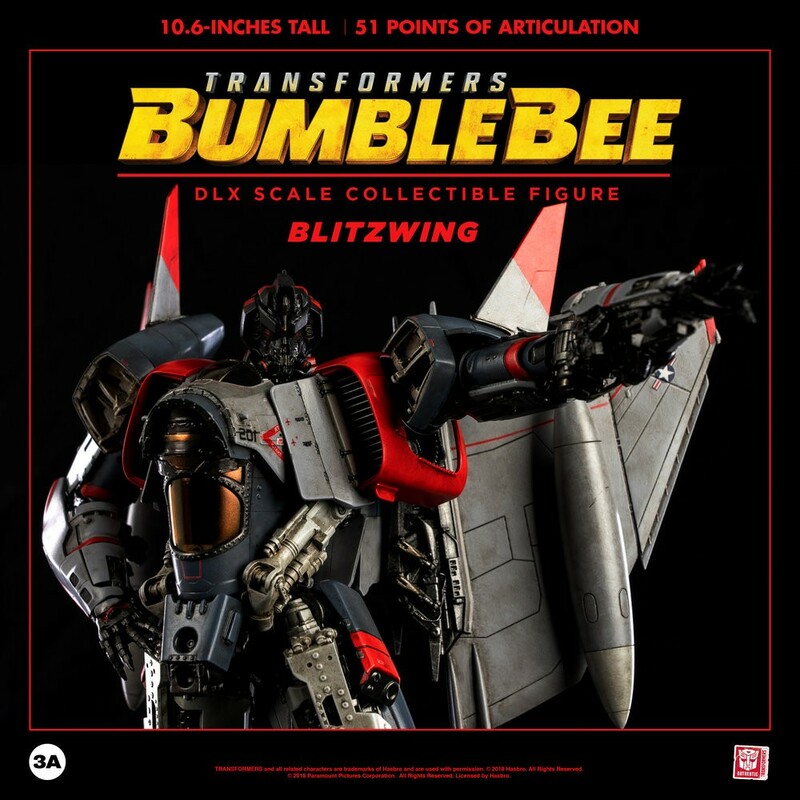 3A has launched their Bumblebee movie Blitzwing gallery and, wow, does this figure look good!? 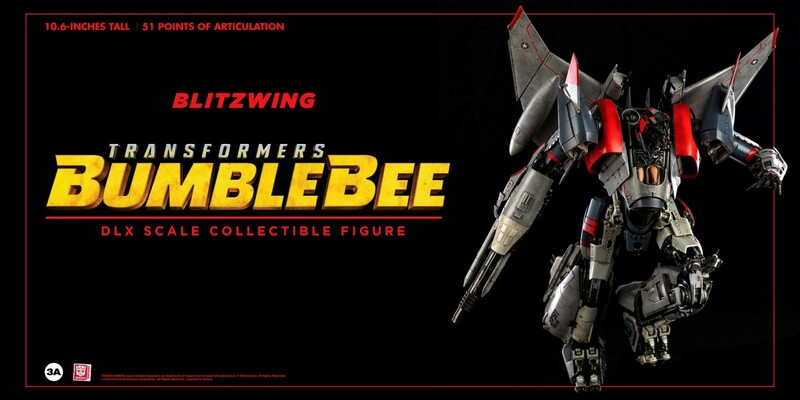 As expected from 3A this non-transforming figure looks just like it walked straight out of the movie with loads of details, articulation, metal parts and LED lights to really bring it to life. We're also getting our first look at his accessories which include weapons, a replaceable arm, and extra sets of hands. 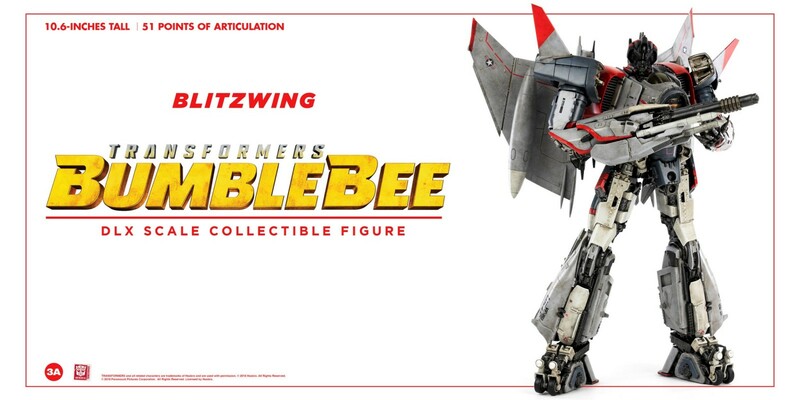 The figure can be pre-ordered right now at the link above for $199 which does include shipping. 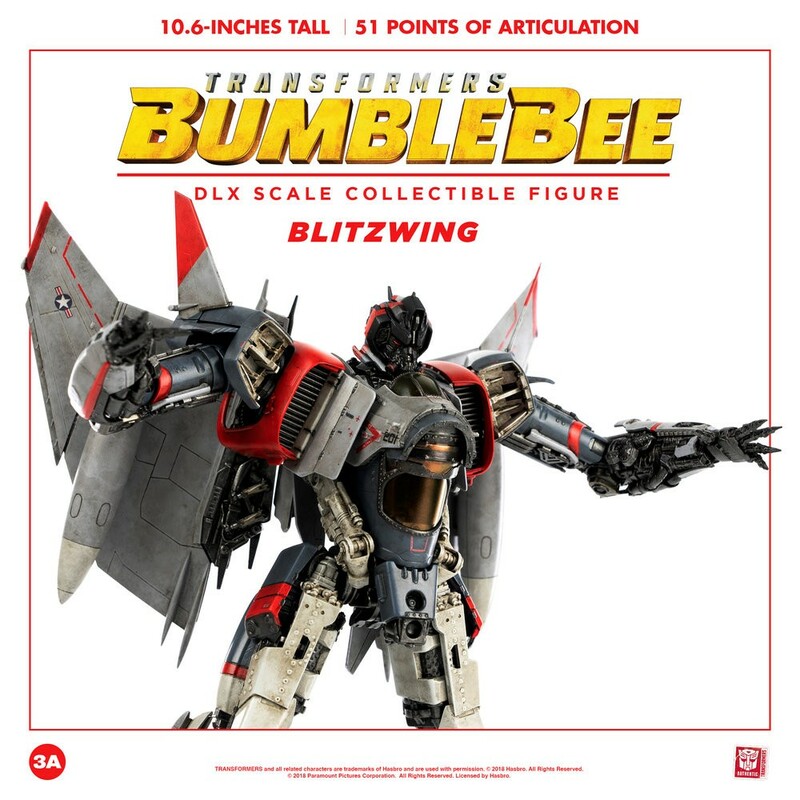 Considering his size of 10.6 inches and list of features that's really not a terrible price for a figure like this. The full list of bullet points can be found below along with the full gallery. He's expected to see release sometime in the third quarter of 2019. Thanks to Nathaniel Prime for bringing this to our attention! What are your thoughts on this latest offering from 3A? Sound off in the Energon Pub! I hate those damn wings. Stupid G1 seeker tribute. Fold them away so they don't get all damaged in battle and make your jet mode unusable. Carnivius_Prime wrote: I hate those damn wings. Stupid G1 seeker tribute. Fold them away so they don't get all damaged in battle and make your jet mode unusable. Where would you rather have them be placed? I agree with you on the (un)practical design choice, but I believe they would still get damaged regardless of where they are placed. 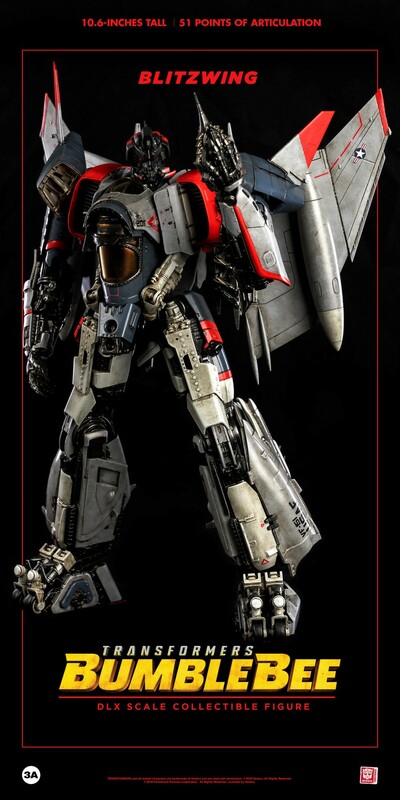 I'll wait until the Starscream repaint. Last edited by Coptur on Tue Jan 15, 2019 9:14 am, edited 1 time in total.